. "Ports and Harbours". The Canadian Encyclopedia, 07 December 2016, Historica Canada. https://www.thecanadianencyclopedia.ca/en/article/ports-and-harbours. Accessed 20 April 2019. 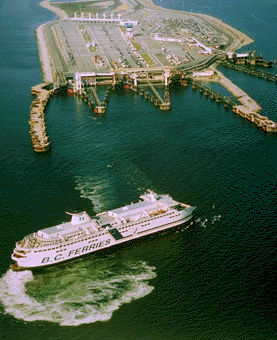 There are 3 categories of ferry terminals: international and interprovincial terminals under departmental jurisdiction, and private ferry terminals. Shipping is still one of the cheapest ways of moving goods (Corel Professional Photos). Vancouver is the busiest port on the entire Pacific coast of North America (photo by J.A. Kraulis). 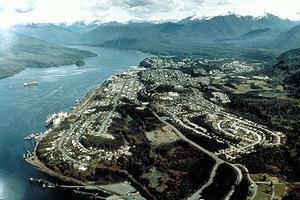 Harbour administration in Canada is the responsibility of the federal Department of Transport. Small-craft harbour facilities used exclusively for the fishing industry and recreational boating are generally the responsibility of the Department of Fisheries and Oceans. Some marinas are the responsibility of the Department of Indian Affairs and Northern Development, or the provinces, municipalities or private owners. Ports Canada is a federal Crown Corporation reporting to Parliament through the minister of transport. 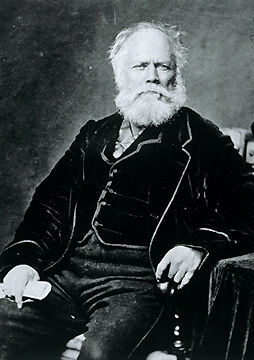 The Canada Ports Corporation Act, proclaimed 24 February 1983, changed the name of the organization from National Harbours Board to Ports Canada (officially the Canada Ports Corporation), and established the corporation's responsibility for promoting domestic and international trade through Canadian ports. The 15 ports administered under this Act are generally large, multi-purpose ports which provide a full range of competitively priced ships' services, berthage facilities and cargo handling and protection. Nine other large ports are operated semi-autonomously by harbour commissions under the supervision of the Canadian Marine Transportation Administration (CMTA). Half of Canada's waterborne trade passes through Ports Canada ports, making them vital links in the overall transportation system. These ports frequently act as landlords, leasing property and facilities to the private sector, including stevedoring firms, shipping companies and terminal operators. Ports Canada personnel direct navigation within the harbour limits, administer and collect tariffs and manage property. Ports Canada also provides police and security forces for the protection of cargo and personnel and operates specialized facilities, such as grain elevators, terminal facilities and in-port railway systems. The new Act gives the board powers to establish local port corporations at any of the Ports Canada ports which meet the criteria of national and regional significance, local interest and financial viability. Local corporations have their own boards of directors and manage and operate their ports with a high degree of autonomy. Ports Canada is responsible only for ensuring that they meet federal government transportation objectives and make optimum use of resources. Ports Canada ports with local port corporation status are St John's, Newfoundland; Halifax, Nova Scotia; the city of Québec, Montréal; Vancouver and Prince Rupert, BC. Noncorporate ports are Saint John and Belledune, New Brunswick; Chicoutimi, Sept-Iles and Trois-Rivières, Québec; Prescott and Port Colborne, Ontario; and Churchill, Manitoba. Ports Canada in 1986 handled 161 million t of cargo (50% of the total waterborne traffic in Canada, 63% of international cargo and 71% of grain exports). Harbour commissions handle approximately 29% of Canadian cargo (93 million t). They operate semi-autonomously in 9 ports in Canada. 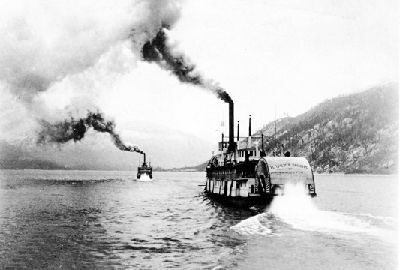 Seven harbour commissions have been incorporated under the 1964 Harbour Commissions Act at Thunder Bay, Windsor and Oshawa in Ontario, as well as Fraser River (New Westminster), North Fraser, Nanaimo and Port Alberni in BC. Harbour commissions with separate statutes are located in Toronto and Hamilton, Ontario. To a large extent the control and management of the harbour are placed in the hands of local commissioners. Harbour Commissions are not agents of the Crown but operate as quasi-commercial bodies. They are responsible for day-to-day administration, planning, construction, operation and maintenance of port facilities, infrastructure and services. Public harbours and port facilities are administered through the Harbours and Ports Directorate of the Canadian Coast Guard, under the authority of the Public Harbours and Ports Facilities Act proclaimed on 24 Feb 1983. These commercial transportation ports are found in approximately 341 locations across Canada, extending from Long Pond Manuels, Newfoundland, in the east, to Port Clements, BC, in the west; and from Pelee Island, Ontario, in the south, to Tuktoyaktuk in the Arctic. There are 101 public ports on the West Coast of Canada, 34 in the Arctic, 33 on the Great Lakes, 60 on the St Lawrence, and 96 on the East Coast and Newfoundland. Public ports serve approximately 85 communities on the East, West and arctic coasts that have neither rail nor road access, providing a lifeline for Canada's isolated communities. 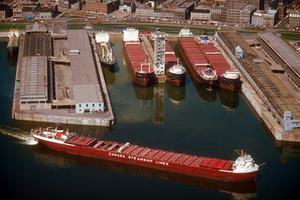 Canada's public ports handle about 21% (67.3 million t) of Canada's waterborne tonnage. Of this total tonnage, 64% was international and 46% was domestic. Major commodities handled include salt, petroleum products, gasoline, newsprint and dry bulk commodities such as ores, sand and grain. Public ports tend to serve a local and regional clientele. For example, about 500 000 t of zinc concentrates are shipped to Europe from Dalhousie, New Brunswick, annually. The product is moved by rail from the mine, which is only 200 km away. An extreme example of local customers is found at the port of Goderich, Ontario, where the salt mine shaft is located on the wharf. Expansion of this port, completed in 1987, allowed it to handle 3 million t of salt per year. Public ports are managed directly by Transport Canada, which ensures that the public port system contributes to a safe, efficient and equitable marine transportation system. Transport Canada does not itself operate port facilities; all cargo activities are undertaken through arrangement with the private sector. Management of the port varies by local operational requirements. Full-time area and port managers are available in a small number of the most active locations. Fees of Office appointees, known as wharfingers and harbourmasters, are used at other sites, where traffic volumes are inadequate to support a full-time port manager.